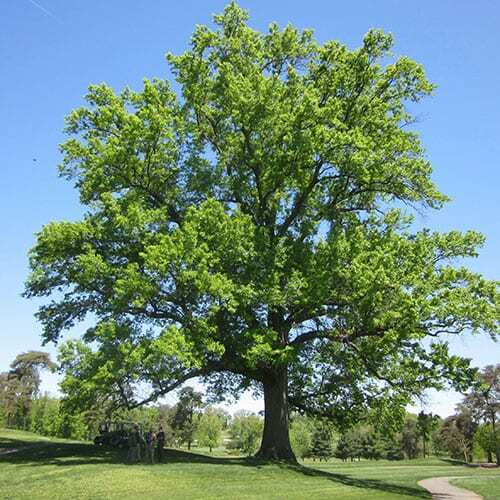 Northern Pin Oak is native in the lake states and is found in areas with light, sandy, acid soils. It has a pyramidal habit in youth, becoming more oval to rounded with age. Leaves are lobed with sharp points on the tips. Sinuses are quite deeply cut. Northern Pin Oak develops attractive fall colors ranging from orange and red to reddish brown. Leaves tend to stay on the tree through winter.